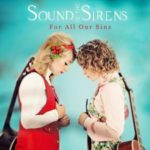 “For All Our Sins” – Sound of the Sirens – I’ve been a fan since the first time I saw them. They’ve been building a reputation and a fanbase for a few years now, self-releasing a couple of EPs and an album but this one was backed by a recording deal which meant that Abbe Martin and Hannah Wood were able to move beyond their classic live sound of guitars (and mandolin), foot percussion and stunning harmonies to introduce keyboards, choirs and even a bit of psychedelia. At the album launch party, Jeremy Vine tweeted live footage of Abbe and Hannah and even played the lead track “Smokescreen” on his Radio 2 show the next day. Give it a listen here. 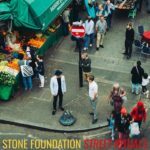 “Street Rituals” – Stone Foundation – This is another band that I’ve been following for a few years now and marvelling at the way their talent and work ethic has taken them to the top of the vinyl charts in 2017. This album is the best so far (although “To Find the Spirit” and “A Life Unlimited” are bloody good as well) and having Paul Weller as producer and contributor didn’t do any harm either. The album harks back to the socially-conscious soul albums of the early seventies turned out by Marvin Gaye, Stevie Wonder and Curtis Mayfield and has the band pinning their political hearts firmly to their sleeves. And I may have mentioned that they are an absolutely lovely bunch of people. 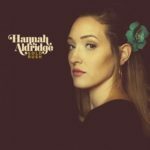 “Gold Rush” – Hannah Aldridge – This is Hannah’s second album; crowd-funded and featuring songs she’s been working and collaborating on with various writers for a few years. How do you categorise Hannah’s music? Well, the easy answer is Americana, but that’s just a marketing tool these days (same as ‘blues’ really, with or without an upper-case B). 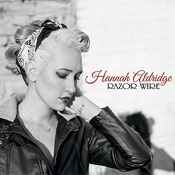 The last time I interviewed Hannah, she was favouring ‘Southern rock’, hinting at Tom Petty, although this album has a distinct feel of the Stones “Sticky Fingers” on the rock songs. But put the rockers to one side and you have two absolutely beautiful melancholy slow songs, the title track and “Living on Lonely”. Both of those songs are lyrically intense and melodically gorgeous and that’s a combination I can never resist. Hannah’s going to be back in the UK next year; you really should make the effort to go out and see her. “A Girl in Teen City” – Oh Susanna – I loved this album from the very first listen; it’s built around the theme of growing up in Vancouver in the eighties. It’s poetic, it’s melodic and it’s humorous, but most of all it’s human. It’s the story of a real person, Suzie Ungerleider, and her adolescence, with references to the music of the era and so much more; the “American Graffiti” style of “Thunderbird” and the Springsteenesque widescreen of “My Old Vancouver”. Honestly, my words can’t do it justice, you should really listen to it for yourself. 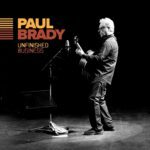 “Unfinished Business” – Paul Brady – If you survive as a musician for over fifty years, you’re doing something right. In Paul Brady’s case, he’s doing a lot of things right. He’s still writing superb songs, still picking good covers and he’s still surrounding himself with top-flight musicians who know how to sell a song without overdoing it. This is an album that says ‘if you’re good enough, you’re young enough’. All the experience is there and it all sounds so deceptively effortless. Make some time to listen to it over the holiday. And those honourable mentions? How about “The Penny Collector” – Carrie Elkin, “Mockingbird Soul” – Brigitte DeMeyer and Will Kimbrough, “Static in the Wires” – Martin Harley and Daniel Kimbro and “Tennessee Night” – Ed Dupas. It’s always a good feeling when a band or artist you like starts to get a bit of recognition, particularly when you know they’ve put in the hard hours over a long period of time and they’re doing something that they believe in and they’re committed to body and soul. In 2014, things were finally starting to happen for Stone Foundation. After years of serious graft with no industry backing, playing support slots, organising their own tours and self-funding their releases, people started to take notice and they got a bit of radio exposure (Craig Charles helped a bit there). They did support tours with The Selecter and The Blow Monkeys and the album “To Find the Spirit” made a dent in the independent charts; even The Modfather was photographed holding a copy. So, where to next? Well, the next album, “A Life Unlimited”, is out on August 7th, so that’s a pretty good place to start. It would have been so easy to stick with the style that made “To Find the Spirit” successful, but that’s not what these guys do; the new album was always going to move in a slightly different direction, particularly after a few of the personnel changes that are almost inevitable in a large group. The opening song, “Beverley”, (the theme tune from Alexander Thomas’ short film of the same name) is a tantalising hint as to the slight change of direction. 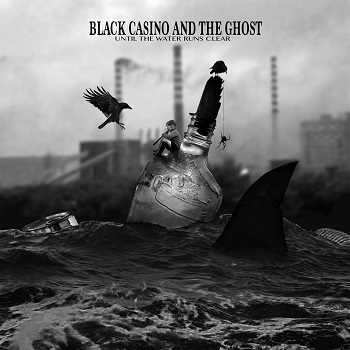 It could almost be a track from the previous album, apart from the congas (courtesy of new member Rob Newton), which infuse a little Latin spirit into the funky cocktail of horns, Hammond and wah-wah guitars. There’s a change of emphasis in the brass section as well; Gareth John filled the trumpet vacancy last year and Adam Stevens has come in on baritone sax to replace trombonist Spencer Hague while he takes a break, both joining long-standing tenor saxophonist Gary Rollins. It gives the brass section a more Stax/Atlantic feel with a greater focus on ensemble playing as opposed to solos. 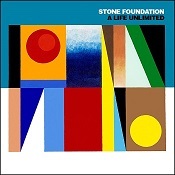 It’s a philosophy which applies to the band generally; Stone Foundation is about eight guys working together to create gorgeous grooves and it works because the egos are reined in and the band is more important than the individual. The sumptuous ballad “Pushing Your Love”, with harmonies from The Four Perfections, wouldn’t have sounded out of place on the previous album, while “Something in the Light” takes a little step forward with the brass section, particularly Adam Stevens’ baritone lines, generating a Memphis Horns feel and the Q Strings adding a touch of velvet to the sting of brass. And that’s all before the Van Morrison-style breakdown with strings, tenor sax and backing vocals from The Four Perfections and Janet and Samantha Harris. Lovely stuff. “The Turnaround” and “Learning the Hard Way” are real departures for the band. The horn fills have a New York/Cuban feel which weave around Neil Sheasby’s bubbling bass lines and Neil Jones’ guitar to create a sound which is much more New York fusion than small town soul; the kind of thing Southside Johnny and his brass section The New York Horns have been doing so well recently. They’re both irresistibly funky. It’s the two centre pieces (or the last track on side one and the first on side two if you’re going for the vinyl) which give the clearest indication of the new influences on this album; there’s a bit of jazz in the mix. “Speak Your Piece” is a sprawling epic of a song which starts with handclaps, a piano motif (which is picked up later by the horns) and a five-note bass riff which runs through the song. Even as the song builds and layers are added, there’s always plenty of space in the mix; it never feels crowded as it builds up to a noisy chorus and drops back to piano and bass under the lead before building up again to big horn-driven finale. There’s even a one-note piano solo from Ian Arnold, and if that isn’t jazz, I don’t know what is. “The Night Teller” has a mid-tempo cool jazz feel evoking the cover artwork of Donald Fagen’s classic “The Nightfly” album and features a guest vocal by Graham Parker underpinned by some understated baritone sax. It’s all beautifully played and GP’s vocal works perfectly as a complement to the voice of Neil Jones. “These Life Stories” is a mid-tempo groove built around some laconic brass ensemble playing and delicate electric piano and it’s another example of the ‘less is more’ philosophy; you don’t need flash when a band can play this well together. Even the conga solo is politely restrained. 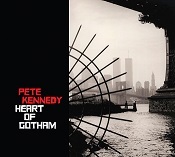 “A Love Uprising”, the album’s penultimate track, opens up like a 1990 house tune with a simple piano riff and Philip Ford’s four-to-floor kick drum but, within a few bars congas come in to soften the beat before seventies hi-hats and funk guitar, and then brass fills morph the piece into classic New York disco. And who’s that coming in just before two minutes with a rap? It’s Dr Robert from The Blow Monkeys making a guest appearance. Just to add to the Studio 54 ambience, you even get congas and disco whistles; it’s so authentic they knocked back Nile Rodgers when he tried to get in to the session. The closing track “Old Partners, New Dances” is an instrumental piece featuring Ian Arnold on piano and Gareth John on flugel horn, evoking the feel of a jazz club at four in the morning and it’s perfect way to bring the album down for a soft landing after the manic buzz of “A Love Uprising”. Since the sessions for “A Life Unlimited”, the band has signed record deals in Japan (with P-Vine Records) and the USA (with Spectra Music Group); things definitely aren’t standing still at the moment and, with this album, they probably have the right set of songs to break through. What shines through every aspect of the album is quality; the songs are well-crafted, the arrangements are sensitive and varied and the performances are all superb. Even the artwork by Horace Panter (you are going to buy it on CD or vinyl, aren’t you?) is spot on. Maybe “A Life Unlimited” proves that, in a world where a Glastonbury headliner gets away with out-of-tune karaoke, there’s still room for music created with passion and talent. “A Life Unlimited” is released on August 7/ 2015.